You can contact Resistance Radio on Twitter @RRadioPodcast, Facebook (https://www.facebook.com/resistanceradiopodcast/) or on our website, resistanceradio.net. Don’t forget to subscribe to us on iTunes! 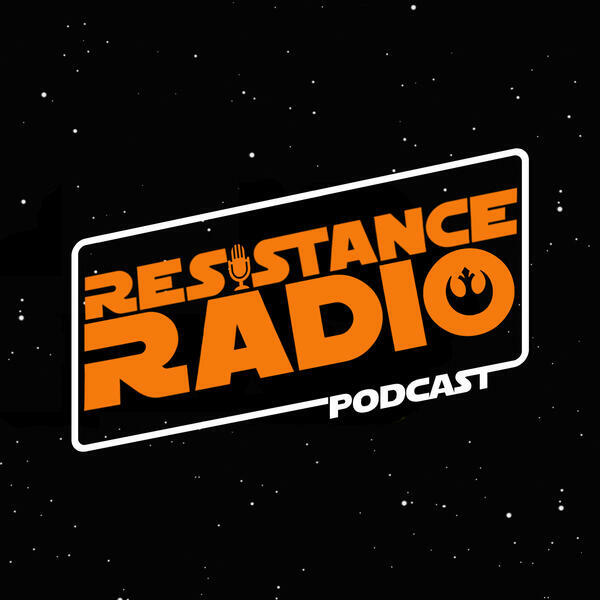 Don’t forget you can support the podcast on Patreon (https://www.patreon.com/resistanceradiopodcast) with lots of special perks, including special after dark episodes that go beyond just Star Wars. Check it out! Want a Resistance Radio shirt and/or button set? Our merch is now available from the Resistance Radio store ( http://www.resistanceradio.net/shop/ ). Ron Howard shares unique photos from the set of the Han Solo film, including a very cool “Hyperspace” Photo Hasbro unveils Luke and Rey figures from The Last Jedi! Where did Luke’s green lightsaber go? Rey finally get her place in Star Wars Monopoly Disney’s Star Wars Land gets its official name - will you visit Star Wars: Galaxy’s Edge? We get new character posters for The Last Jedi Lego Jedi Master Luke Skywalker - OMG! D23’s BTS footage is amazing and we break down each scene and tell you all of our theories from each scene!